How large are our risks? What are the most likely risk scenarios and how severe would the consequences be? What elements in our system or organization are the major contributors to risk? How will our risk be affected by changes to the system or organization? How confident are we about the answers to the above, and how can we increase our confidence? Do you have to analyze multiple or single factors to address the uncertainties when reducing your risk? Do you consider such factors as: systems, processes, organization, people, communication and unforeseen elements as part of your risk assessments? Do you need to construct scenarios with many elements or factors during your risk assessment? Do you consider elements that could adversely effect your organization's mission, proposal, production, finances, design, acquisition, schedule, requirements, and management? Do these elements or factors pose a threat or potential risk on their own or have an effect on other parts of the organization? ITEM Quantitative Risk Assessment System (iQRAS) can help identify the risks, find the major contributors, effective ways to reduce the risks, and improve your understanding. The initiating event integration with time lines, event sequences, failure probability characterization, risk ranking, and sensitivity analysis, provides you with a powerful, integrated, risk analysis environment. Other Probabilistic Risk Assessment (PRA) tools cannot match the unique integration of capabilities in iQRAS. 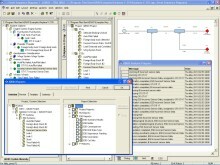 iQRAS is a user friendly software tool with a fully integrated environment for constructing and analyzing risk models. A powerful aid for conducting PRA, you can construct and quantify risk scenario models, estimate numerical risk levels, and identify major risk contributors. Although initially developed for NASA, the features of iQRAS allow it to be applied to a wide range of applications, including aerospace, military, transportation, as well as medical procedures. 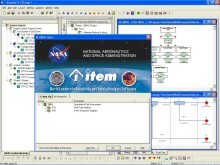 iQRAS was designed to be used by a wide range of engineers and analysts. It is suitable for use by safety engineers who are seeking to enhance their safety analyses. On the computational side, iQRAS offers state-of-the-art algorithms that are both highly efficient and, unlike conventional solution methods used in most other tools, are not subject to often significant approximation errors. 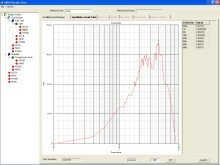 To download a free demonstration of our ITEM QRAS software click here.